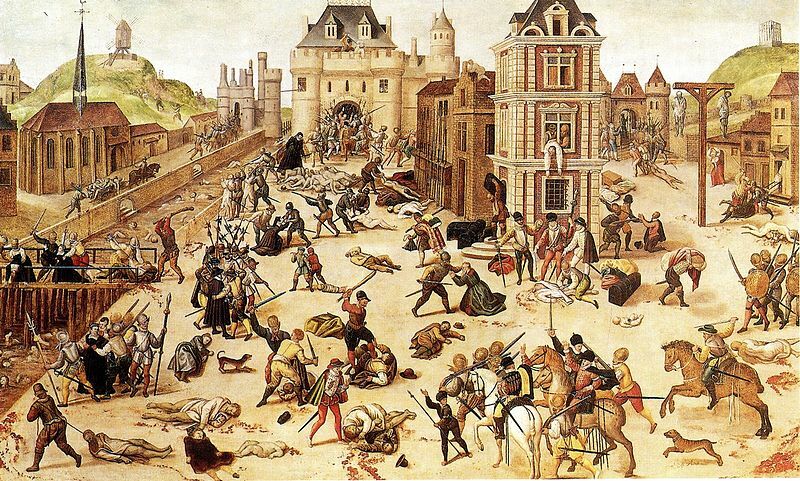 In 1572 simmering unrest in France between the ruling Roman Catholic elite and minority Calvinist Protestants (the Huguenots) came to a head in the Saint Bartholomew’s Day Massacre. The assassination of several Huguenot leaders was followed by mob violence against the group. Many leading Huguenots were killed and a wave of Huguenot refugees fled France in search of more tolerant areas. Groups made their new home in Bideford, bringing with them expertise in textile work that enhanced an existing local trade.